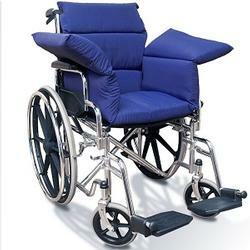 At Spinlife, we carry a variety of specialty wheelchair cushions. These cushions are single-purpose cushions that provide support like coccyx support, donut ring cushions, wedges and even leg, back and foot support needs. 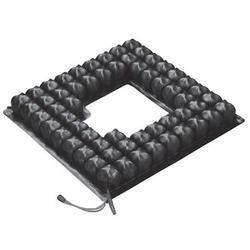 These specialty cushions are not for general use, rather for the specific need each cushion addresses. 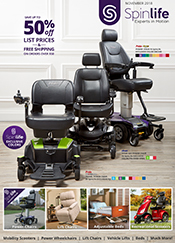 Whether you need a cushion to separate the knees, lie comfortably on your side, support your neck and raise your head, or just set more comfortably in a chair or wheelchair, the Positioning Specialty Cushions should have the equipment you need. Those with pressure sores or pain specifically in the tail bone or coccyx area will benefit from cushions in the Coccyx Relief category. 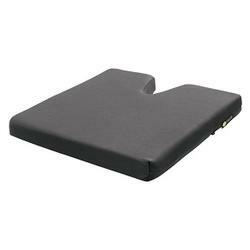 These cushions are specially made to eliminate any pressure or contact to the coccyx area. These cushions should only be used during the period needed to remedy the pain or pressure sore and are not intended for permanent usage. 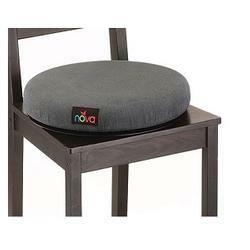 Toileting seat cushions are intended for attachment to toilet seats or commode benches. They are great for those with a boney prominence or need of pressure relief. The cushions are also easy to transport for usage at restrooms outside the home. Yes, orders over $50 always ship for free at SpinLife. What if something goes wrong with my cushion or back? What if I want to return my cushion or back? SpinLife wants you to be completely satisfied with your purchase. If it arrives and it is not what you thought or does not meet your needs, you are free to return it as long as it is in new condition and the original packaging. Custom ordered cushions are non-returnable. We require that you pay freight and a 15% restock fee to return your cushion. Please see our Return Policy for complete details. *Sales tax is applied to certain products shipped to the state of Ohio.